Because of these outstanding properties, the expander wheels FAPI-PA have proven themselves in the market over decades. The hardness the of para rubber coating can be differentiated in two levels. The range extends here from a soft para rubber coating with 45° Shore (A) to a somewhat harder, so called medium-soft, para rubber coating with 60° Shore (A). A softer or harder coating would result in individual `ribs´ expanding too little or too much during operation, as a result of the exerted centrifugal force to tension the abrasive sleeve correctly. 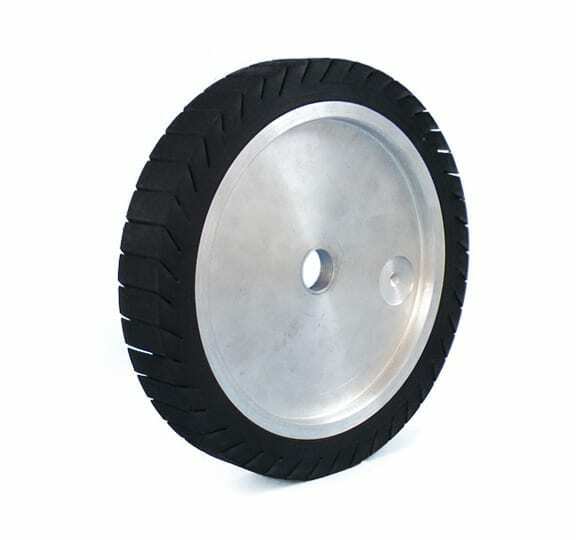 On customer’s request we produce also expander wheels FAPI-PA in other hardness. Important: The correct choice of Expander disc hardness always depends on the individual application.